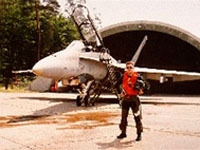 Lionel began his professional career in photography as a member of the Canadian Armed Forces. It was here he learned the value of hard work, commitment to excellence and exceeding expectations. Today with over 20 years of commercial photography experience, Lionel has the insight and perspective needed to deliver imagery that differentiates his clients in the marketplace. Lionel’s creativity and leading edge photography skills genuinely reflect each clients’ individual style, personality and culture. Whether it be in studio or on location, executive portrait, collateral or print ad, Lionel enjoys his art; and his repeat client list is a testament to his number one goal of exceeding expectations. Clients include: McDonalds, Bell Mobility, BC Government, Granville Island Brewery, Visa, Rocky Mountain Bikes, to name a few. Lionel offers straight-to-computer capture, on-site retouching and ftp delivery in the studio or on location. Clients watch the images in live-time during capture, see the final raw images before the lights are unplugged. Lionel restores his creativity while working from his rural acreage in the Okanagan WIne Valley. He operates his business on location throughout British Columbia, Alberta, and from his commercial studio. Regardless of your project size Lionel’s attention to the smallest details will see that you leave with the best possible image. Please call to arrange a meeting to discuss your next project.